End the frustration of clogged gutters. Keep your gutters free flowing with a proven system that works! After more than 20 years in the gutter guard industry, we believe CPR Gutter Protection has the most effective, low maintenance and toughest gutter protection system available today. We provide services and products such as Gutter Covers, Gutter Mesh Installation, Gutter Guardian, wire gutter guards among other forms of gutter protection systems. Our gutter mesh keeps the leaves out and rain in providing a safe, easy way to to keep debris out of your gutters & drainpipes for good. 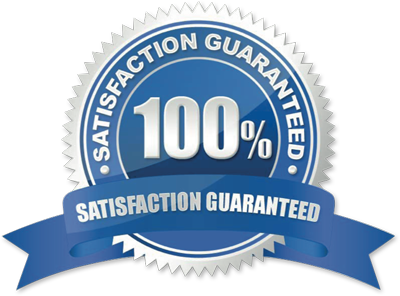 Enjoy a 20 year product warranty & lifetime peace-of-mind workmanship guarantee on all products. Since the time gutters have been installed, people have tried to keep them clean. Gutters by design, are at the bottom edge of the roof and in the worst location for staying clean. Dirt, seeds, leaves and pine needles all collect on the roof. Countless hours are wasted, toiling away on the top of a ladders, cleaning scraping, sweating away just to maintain a clear passage for rain to flow. Without gutters, rain water and debris pour directly next to the home and it can cause erosion and foundation problems. Also if rain collects on walkways or driveways it will freeze in colder climates and can be hazardous. For the past 20 years many expensive and elaborate systems have been designed to fight against the natural effects of mother nature and roof design. Clearly some systems have worked better than others. At one point there were over 70 different gutter protection systems to choose from. Many of these systems made outlandish claims of never having to clean gutters again. All too often, these systems let the homeowner down and in some cases the company went out of business or discontinued selling that product. Why is this such a difficult problem to fix? Well there is a simple answer, and this is the real truth about gutter protection. There is not one system that can work under every tree, on every roof design, in every climate that is completely maintenance free. Every system may require occasional maintenance. Roof design and the species of trees have a tremendous effect on the performance of a gutter protection system. Some trees drop messy, sticky debris that will have to be cleaned from the gutter protection system. Some roofs have long valleys on steep roofs that can collect a tremendous amount of debris. The wind will not blow into and then out of the valley. These are extreme circumstances that can provide a challenge to any gutter protection system. Our experience in leaf gutter guards enables us to install a system that flat out works under the toughest conditions and in all surrounding trees and environments. 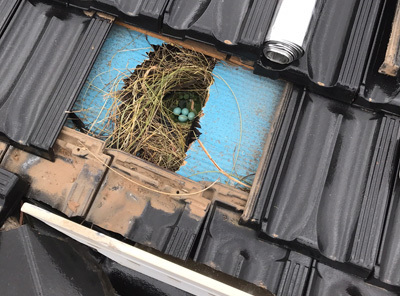 The maintenance required may be as simple as clearing some debris from a corner of the gutters where a valley is present. Some homes are surrounded by trees and therefore the wind is blocked by the trees. In these cases, it is recommended to occasionally inspect the system and if an accumulation is present, it is often easiest to blow or sweep off that section. After a decade in the gutter protection industry, we understand how important it is to keep the gutters clear so they can work as intended. 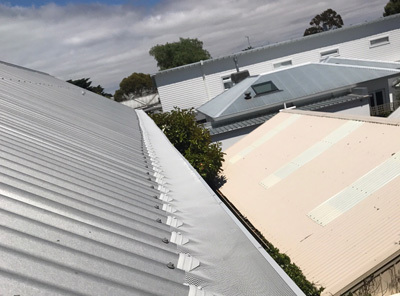 CPR Gutter Protection is your best defence against debris and your lowest maintenance option when it comes to the truth about gutter protection.